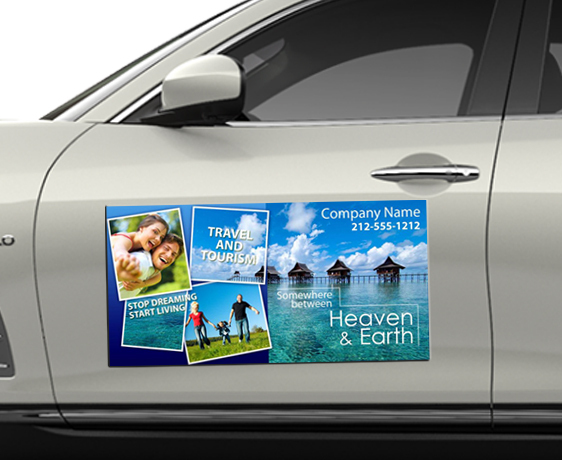 A 24 x 12 inch round corner magnetic car signs full color magnets with rounded corners make a definite promotional choice for advertisers of all genres because it offers a good grip over vehicle surfaces. 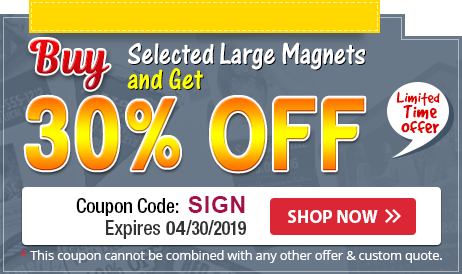 This magnetic sticker can stay fixed to its place of affixation for a long time. Advertisers seeking this sticker can always get it done tastefully to grab maximum attention. Those opting for it in bulk can seek benefits in the form of improved visibility, free shipping, free art set up and free design.